I haven't been to Pier One in years but recently I have been finding a lot of cute stuff there... like this owl Christmas ornament. 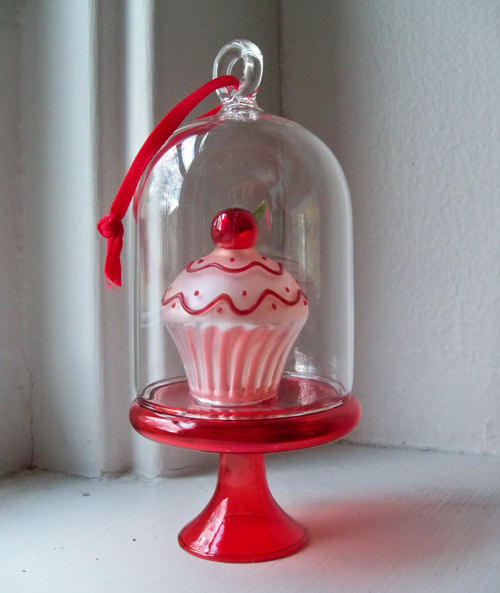 Also check out the cool candle holder that you can hang an ornament inside. 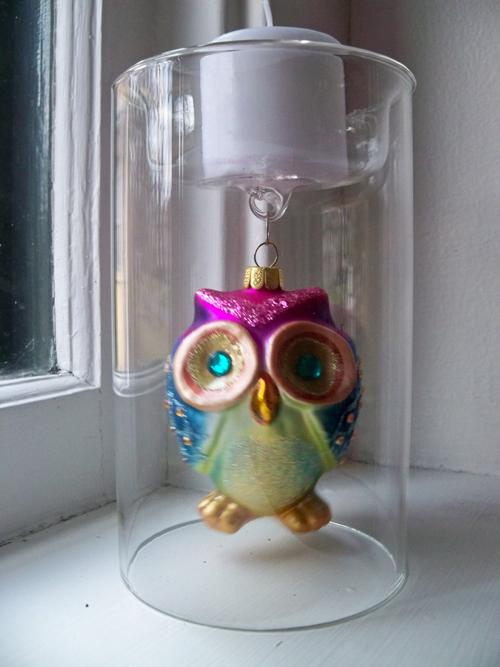 Aaron got me the owl plus this cupcake ornament at Pier One. This cupcake one looks good enough to eat! you really should go to Pier 1 more often, we had some really cute halloween stuff this year too. There were some goodies on clearance too!